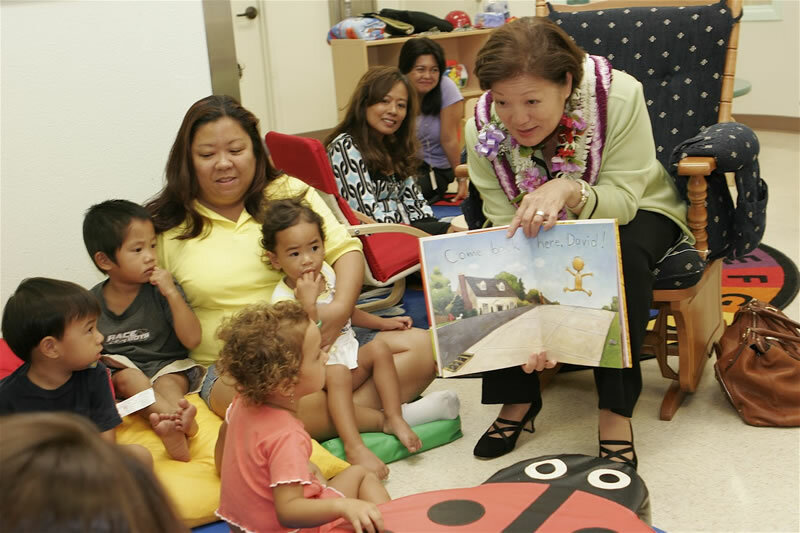 Infant/Toddler Development Centers | Maui Family Support Services, Inc.
MFSS conducts the only Early Head Start funded, Infant and Toddler Early Childhood Development Centers in Maui County. These centers are located in Wailuku and Lahaina. In 2015, MFSS opened Hale Hi`ipoi, the first licensed Infant and Toddler Development Center in Hana. Hale Hi`ipoi is made possible due to a collaboration between MFSS, the Department of Education, the County of Maui and Kamehameha Schools. Research over the past few decades clearly shows that the care children receive as infants and toddlers influences the people they will become. Early Head Start learning environments are nurturing spaces that support the learning of very young children. EHS programs create a safe, fun, and welcoming environment for infants and toddlers. This includes play spaces, areas for caregiving routines, and outdoor areas. Staff plans ways to integrate home cultures into the environment. They also consider the ways the space can change to support the changing ages, interests, and characteristics of a group of children over time. Staff uses what they know about each child’s strengths and needs and each family’s goals to plan their use of the curriculum. Wailuku Kupukupu Hours: 7:00 a.m.-3:00 p.m.
Lahaina EHS Child Development Center Hours: 7:00 a.m.-3:00 p.m. In April of 2015, MFSS opened the first licensed Infant and Toddler Center in the Hana Community. Located on the campus of Hana Elementary and High School, the center offers quality childcare to children ages 6 weeks-3 years.